The largest and longest tenured of our facilities is our Owings location, where families from Calvert, southern Anne Arundel and Prince George’s Counties are cared for in an inviting and comfortable setting. 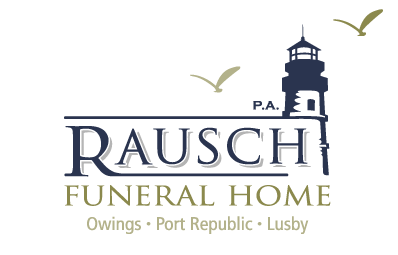 The Rausch Funeral Home in Port Republic, a fixture of the community since the 1800’s, is convenient for families living in central Calvert County, from the Patuxent River to the Chesapeake Bay. Our facility in Lusby, which opened in 2007, stands ready to serve the rapidly-growing southern Calvert County communites of Lusby and Solomons, as well as St. Mary’s County.